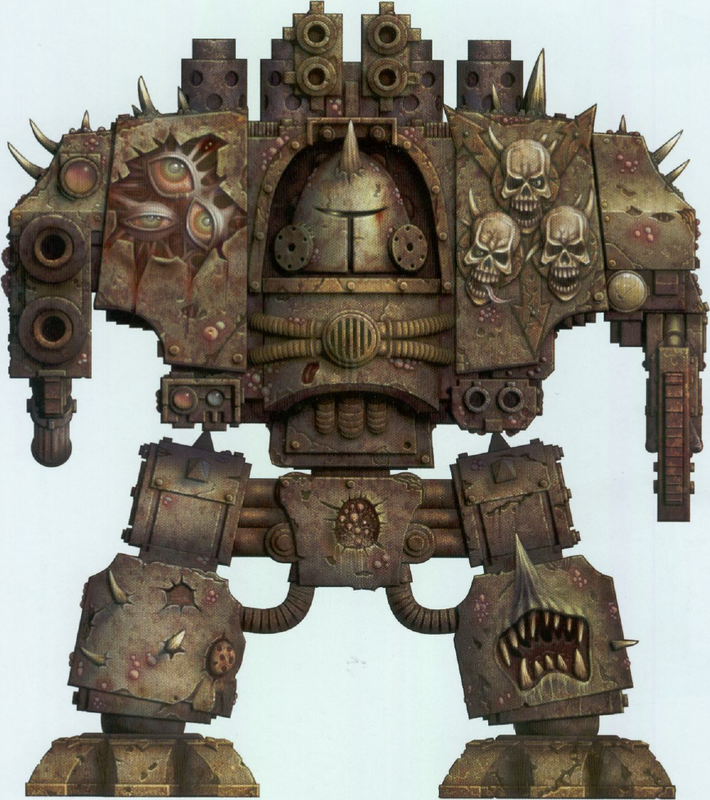 Chaos Dreadnought of the Deathguard. Like all those who have aligned themselves with the power of the Plague Lord and received his favour, disease and decay have covered the hull. This decay seems to have no effect of the Dreadnought's operations.